IMA World Health implements malaria interventions in 34 health zones in the province of North Kivu. Citing the statistics from January to June 2017, malaria prevention, screening and treatment results have been tremendous especially given the constraints of security (kidnappings, increased conflict between rebel and government groups, and curtailed access) in North Kivu. IMA has continued to provide malaria prevention, screening and care to thousands at risk in a context where other international NGOs have departed. 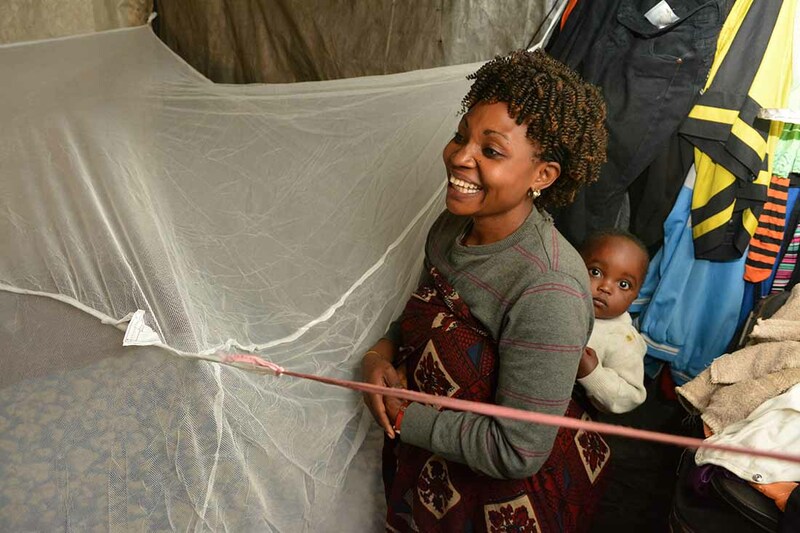 The distribution of long-lasting insecticide treated nets has exceeded expectations by 127 percent. During the first six months of 2017, the project reports that 239,102 nets were distributed to pregnant women and children under one year of age. In addition, the percentage of pregnant women receiving the therapeutic course of preventative treatment for malaria realized a 115 percent success rate for two doses and 117 percent for three doses.